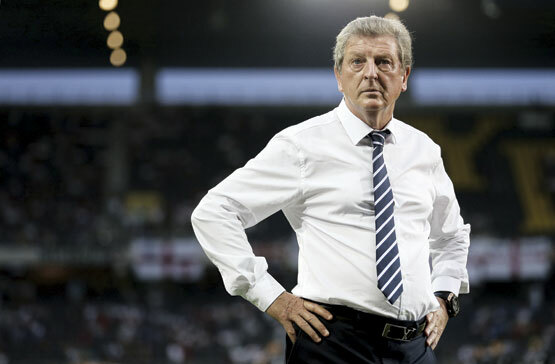 World Soccer: How would you assess your first six months as England manager? Roy Hodgson: It has been very enjoyable. There wasn’t a lot of preparation time for the European Championship but, all things considered, I was pleased with how the players went about their game. They worked hard to progress through the tournament, but once again we were caught out by our lack of penalty expertise. On the other hand, we were tiring quite heavily by the time we got to the quarter-finals. We had quite a small squad, with a lot of players missing through injury. Overall, I was very pleased with the Euros and with the way we have developed since then. I am also quite pleased with the introduction of a few younger players. The future looks bright in terms of the number of players we can call on. For the last 10 years there has been quite a heavy reliance on a group who were very good players, and many of whom are still very good. It’s good to know there is a future generation on the horizon. You are trying to change the way England play, to pass the ball out more from the back. How difficult is that and what specifically are you working on? It is not necessarily difficult. I don’t think it is difficult at all. It’s a question of how well you pass the ball. It’s not just about passing from the back; the most important place to pass the ball well is in the opponents’ final third. 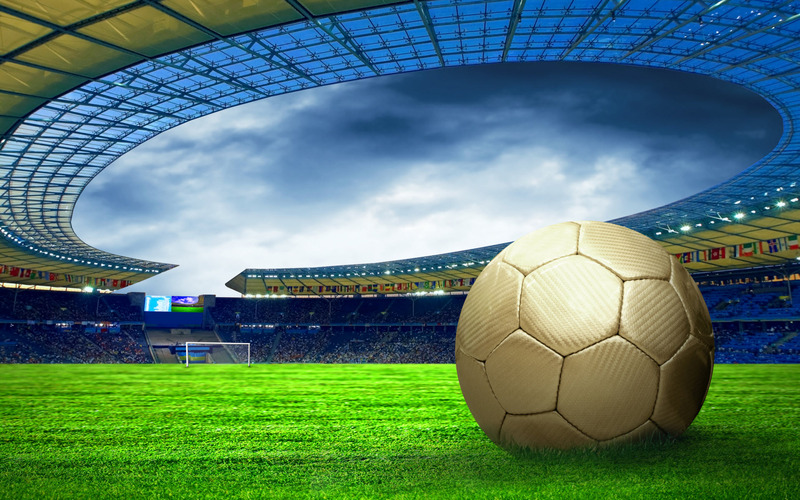 It is easier to play out from the back in international football because most teams retreat to the halfway line and because so few teams play with two centre-forwards. To start out from the back is quite simple, and it’s a question of working on the movements of the side so that you have midfield players who actually want to receive the ball and are prepared to make the necessary movements to get the space. The difficult task, maybe, is getting the movements, to get players doing things automatically, getting it to be second nature. Of course, you need players who are comfortable enough on the ball to want to receive it. It’s a delicate balance. It’s one that can never completely be solved because the type of player you need in English football, to head balls out and make important challenges for crosses, might not necessarily be the type of player who wants to carry the ball out from the back. Maybe in other countries the centre-backs don’t have that barrage of crosses and high balls to deal with. It’s the goalkeeper, too. You look at Joe Hart – his automatisms from playing in the Premier League are, when the ball is played back to him, to kick it up the field. It might take time to make his first thought to be to control the ball and pass it out in the way that Michel Vorm does for Swansea. But it’s not my primary aim to get my goalkeeper to be a number 10 and the main passer of the ball. I’d rather he wasn’t on the ball. I certainly wouldn’t want a team that just plays out, plays back, plays out, plays back because, for me, the idea is to distribute the ball quickly. My main goal is for the passing from midfield to the final third to be as good as it can be. As England manager there are many questions about selection. Norwich City striker Grant Holt, for example, believes it is “ridiculous” that he has been overlooked, while Swansea City supporters are calling for you to pick Leon Britton. What are your thoughts? It all depends on a player’s quality. Some have qualities that are very useful for their clubs but it’s not certain, in my opinion, those qualities will transport to international football. You will always have that. 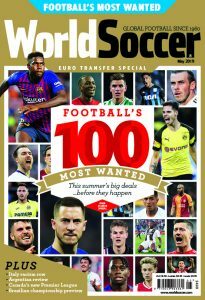 If I did select those players, or a large number of others who could be mentioned, there would be a body of opinion wondering “how the hell can you select him?” We always look abroad at people like Cristiano Ronaldo and Lionel Messi and David Silva and all these players, and then the next minute there are people in England who want to go back to Dixie Dean. Hang on, where are you? There has to be some sort of policy. But I don’t dismiss anyone, they could all quite easily come into an England squad and play a game for England. But whether or not they’d be good enough to nail down a place in competition with other players, whether Grant Holt can keep an England place against people like Wayne Rooney, Danny Welbeck, Jermain Defoe and Andy Carroll, that’s the question. It is one of those debates you will always get. When I was with the Swiss national team, because it is three countries in one, I was always asked why there were so many Swiss-French players and why didn’t we play people from the Swiss-German part or the Swiss-Italian part. As a coach you have to decide how you want play, how a player’s quality will fit in and whether they can actually improve what you are trying to do on the field. One of the things we have paid a lot of attention to, something which came out of the Euros, is our athleticism, our pace, our ability to run past people with the ball. Of course, with a lot of the players whose names are coming up, those are not their qualities. They have more English-style qualities. What was your motivation for working abroad as a young manager in the 1970s? It was a very simple motivation; I had a job offer, one that I hoped would launch me into a coaching career. That probably wasn’t going to come in England. It was a consequence of Bob Houghton having success with Malmo in 1974-75. Another Swedish club, Halmstad, saw that and they decided to seek a similar young English coach. Halmstad asked Bob and he recommended me. Halmstad checked up with the FA – and they gave me a glowing reference – and the club took an enormous gamble on a 29-year-old coach who was unknown both in Sweden and his own country. Who were the major influences on you as a coach and manager? Bob Houghton was a big early influence and there were a group of us who were friends – Lennie Lawrence, Micky Kelly, Dario Gradi, Keith Blunt – people connected around Surrey and south London football. We were passionate about football and passionate about coaching. After that, when I was lucky enough to become a professional coach in Sweden, I had a lot of contact with the top coaches. Bobby Robson had taken me on my FA prelim badge, and I had a lot of help from him, and that led on to Don Howe, David Sexton [see obituary, page 20] and Terry Venables. They became friends and people you looked up to and admired. Don and Dave were big influences from afar at the start, without a shadow of a doubt. With Bobby Robson, they were a wonderful triumvirate that English football produced. They were top people, top players and top coaches. How have your philosophies and playing strategies developed over the years? They do develop, but over such a long career, nearly 37 years since it began in 1976, it is very difficult to pinpoint changes. When Bob Houghton and I started we were armed with what we had learned from the Football Association. We were formed by doing the FA courses, the prelim course and the full-badge course. I had done that by the age of 24. We were taught very clear principles to follow: this is how you must behave, this is how you must conduct yourself, this is how you stand in front of the group, and this is how you get your message over. “Show, don’t tell” was a major buzzword of the time. If you stood on the touchline talking people through it, you were told that’s not the way to do it. Let people play, and when you have something to say, you stop it and show them what you want. If I was to look back and see myself coaching 36 years ago I would be quite appalled by the amount of times I would stop a training game and show off in terms of being able to pass a ball myself. That changes, of course. A lot of emphasis was placed on man-management even in those early days. You were encouraged to put yourself in the players’ shoes and think about how they would feel. They were very good pieces of advice. In terms of playing style, that varies with the quality of players you are working with. If you want to play out from the back you need the men to do it. There’s no point trying to impose a style at any cost. You have to be certain your ideas gel with the players you have. The higher the level you work at, the more important it becomes. If you have Steven Gerrard you want to get him on the ball because you know he can produce the passes.